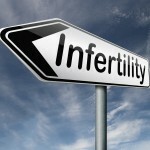 Facing infertility by itself is overwhelming. And even more overwhelming is that no one can prepare you for the number of decisions you will need to make when you decide to undergo Assisted Reproductive Technology (ART) or in Vitro Fertilization (IVF). Your infertility takes over everything. It can feel like an endless stream of decisions, appointments, shots, treatments, decisions and more decisions. And to prepare for all these decisions can be impossible because you never know what’s going to happen. Will you be successful on the first attempt? Will you need to have 2, 3, maybe 5 treatments. With each treatment and attempt come more decisions. The one question that seems to be getting easier to make is how many embryos to transfer. Of course this is still a personal decision, but now there are some guidelines to at least help. The American Society for Reproductive Medicine (ASRM) and Society for Assisted Reproductive Technology (SART) have developed the following guidelines to assist ART programs and patients in determining the appropriate number of cleavage-stage (usually 2 or 3 days after fertilization) embryos or blastocysts (usually 5 or 6 days after fertilization) to transfer. Strict limitations on the number of embryos transferred, as required by law in some countries, do not allow treatment plans to be individualized after careful consideration of each patient’s own unique circumstances. Therefore, transferring greater or fewer embryos than dictated by these criteria may be justified according to individual clinical conditions, including patient age, embryo quality, the opportunity for cryopreservation, and as clinical experience with newer techniques accumulates. Patients under the age of 35 years old who have a favorable prognosis should be offered a single-embryo transfer and no more than two embryos (cleavage stage or blastocyst) should be transferred. If two embryos are transferred, the patient(s) must be counseled regarding the risks of multifetal pregnancy and the counseling should be documented in the patient’s permanent medical record. For patients between 35 and 37 years of age who have a favorable prognosis, no more than two cleavage-stage embryos should be transferred. All others in this age group should have no more than three cleavage-stage embryos transferred. If extended culture is performed, no more than two blastocysts should be transferred to women in this age group. For patients between 38 and 40 years of age who have a favorable prognosis, no more than three cleavage-stage embryos or two blastocysts should be transferred. All others in this age group should have no more than four cleavage-stage embryos or three blastocysts transferred. For patients 41–42 years of age, no more than five cleavage-stage embryos or three Blastocysts should be transferred. In each of the above age groups, for patients with two or more previous failed fresh IVF cycles or a less favorable prognosis, one additional embryo may be transferred according to individual circumstances. The patient must be counseled regarding the risks of multifetal pregnancy. Both the counseling and the justification for exceeding the recommended limits must be documented in the patient(s)’s permanent medical record. In women >43 years of age, there are insufficient data to recommend a limit on the number of embryos to transfer. In donor-egg cycles, the age of the donor should be used to determine the appropriate number of embryos to transfer, but when the donor is <35 years of age single embryo transfer should be strongly considered. In frozen-embryo transfer cycles, the number of good-quality thawed embryos transferred should not exceed the recommended limit on the number of fresh embryos transferred for each age group.